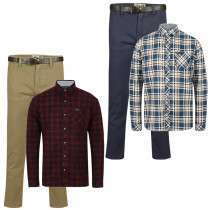 Pick a pair of chinos with belt priced at £29.99 and a flannel shirt priced at £14.99 and use code OUTFIT at basket and get them all for £20 saving £24.99. Dont have my size sadly, but its a good deal. Correct, my size ain't there either. 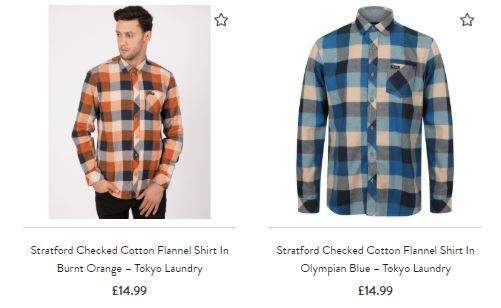 For some reason I've noticed their sizes are a size smaller compared to the standard UK size charts. Same goes for SuperDry. When I filtered sizes it says they didn't have my size but when I clicked on the trousers I wanted my size is available. So perhaps give that a try! I am currently going through my order process and have got to the payment method page but have no yet had an option to enter OUTFIT. I am currently going through my order process and have got to the payment …I am currently going through my order process and have got to the payment method page but have no yet had an option to enter OUTFIT.Any ideas? Thanks for your quick response - I missed it first time round so cancelled my order and started again - yes it was there on the first page. Great. Thank you. Bought for my man. He will be pleased when he gets home! Order 2 lots. Total 40. I hate having a 33 waist and a 8.5 shoe size. It's like looking for clothes whilst having size 16 feet or something. I got the same too. 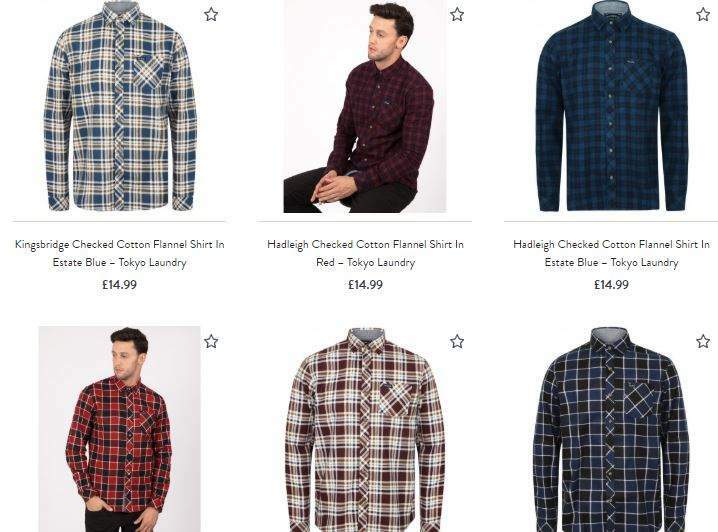 The requested quantity for "Hadleigh Checked Cotton Flannel Shirt In Red – Tokyo Laundry" is not available. Yeah me too! 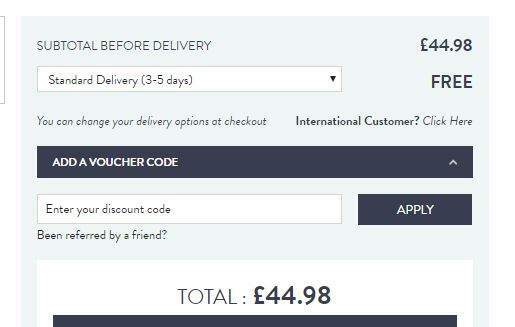 Oh well, still cheaper than doing 2 separate orders. Great deal, shame not got my size left! Thanks OP. Ordered and worked for me. No problem finding my size. Be careful though. Looking at reviews they use myhermes to deliver, not great with communication, returns aren't free(if you use paypal I'm sure that can be covered though) and there has been some trouble sorting out returns and refunds. Be careful though. Looking at reviews they use myhermes to deliver, not …Be careful though. Looking at reviews they use myhermes to deliver, not great with communication, returns aren't free(if you use paypal I'm sure that can be covered though) and there has been some trouble sorting out returns and refunds. eek. Just ordered £60 worth as I thought it was worth the punt. Good luck mate. Hopefully you're able to cancel it before they send it. yeah that's the thing. I ordered using credit card now just waitinf for the cancellation before re-ordering using paypal. Knowing my luck the sizes will be out of stock by the time that happens! Unfortunately we have a technical issue with shipping but we are working on it. I have now refunded it for you. eek. slim fit. think i'll give it a miss. Very good deal though. Not quite slim but not quite the “out of fashion” regular fit either. A bit in between. Mine arrived today - via Hermes who I never have a problem with. I have a sign on my porch door "please leave parcel in porch" the sign has my signature on it. Never failed for me with any delivery firm. In fact the Hermes guy today put the parcel in the porch - then rang the bell a couple of times. When I went to the door he was halfway down the drive - I shouted thanks and he stuck his thumb up.